SKU: 1391490130. Category: Solar Energy Systems. Tag: sunlight cooker. 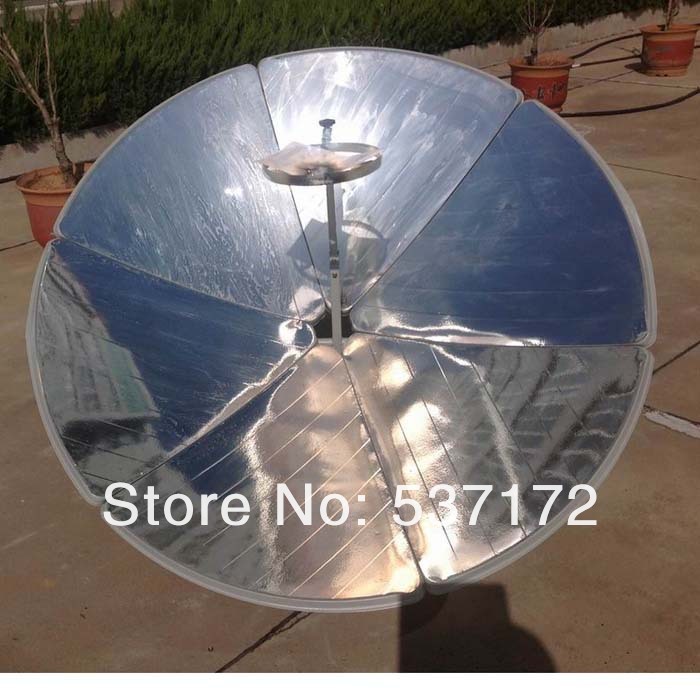 solar cooker:Long service/ lifespan and environmentally friendly. 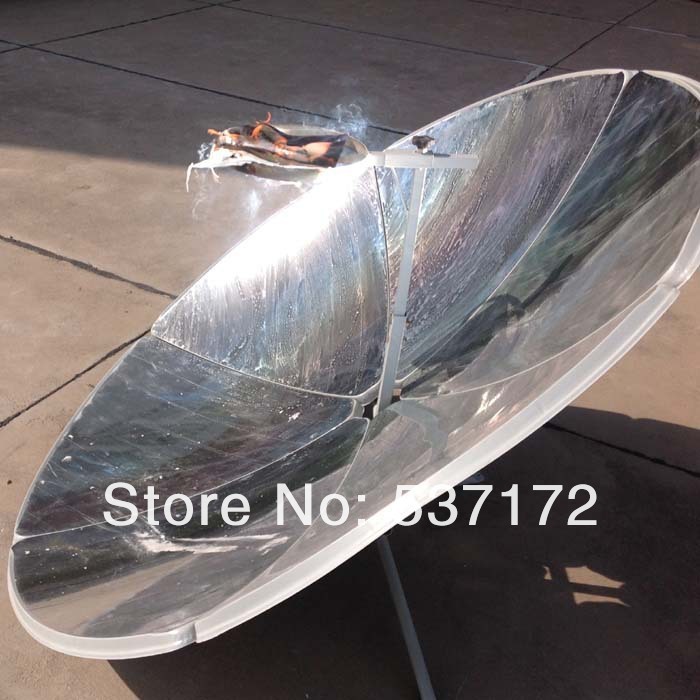 You can help to reduce carbon dioxide and prevent global warming with this solar cooker. It is a solar cooker under sunny and an umbrella on rainy day. You can boil water, fry eggs, barbeque, and cook potatoes, dumpling, cookies, and soup. It takes 10 minutes to boil a liter of water at clear sky. more concentrated and therefore more potent. but dark and thin wall pots work best because dark color absorb almost all of the sun’s light and turn it into heat. Also, the better a pan conducts heat, the faster the cooker will work. – Isolating the air inside the cooker from the air outside the cooker makes an important difference. Pots with lids can hold steam in the pot.